Yesterday, Culver’s second lacrosse game of the day (there were four games in total among the lacrosse teams) was between the CMA JV Team and the JV Team of Cathedral High School from Indianapolis. (The two varsity teams squared off the previous night under the lights on Fleet Field.) Cathedral played a strong game, but they were no match for the JV Eagles. There isn’t a score board on the field overlooking Lake Maxinkuckee, so I do not know what the final score was, but I’m told that the Eagles beat Cathedral by several points. I’ve posted some photos here. You can find more at http://www.culverphotos.com/5_8_10_cmajvlacrosse_cathedral. 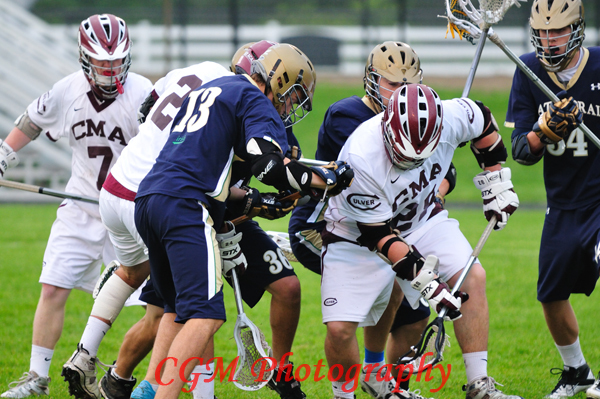 Last night, I watched and photographed half of the CMA Varsity Lacrosse game against Cathedral High School, which is from my hometown of Indianapolis. Everyone thought that it was going to be a great game because Cathedral has always been a tough competitor for Culver in the past. It didn’t turn out to be a close game. The final score was 20-something points to only a few. Cathedral never gave up, but Culver Academies dominated on the offensive end. I know I probably sound like a broken record, but I’ll say it again: Culver’s Lacrosse program is a powerhouse that few midwestern teams can compete against. I’m sorry that most of my photos are of the offensive line, but the defense didn’t get much action. I’ve posted some photos here. 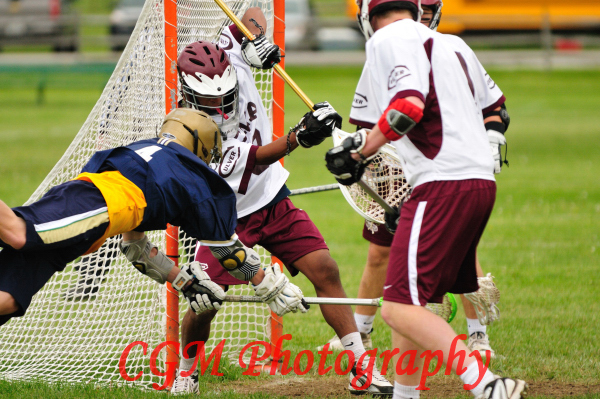 Others are located at http://www.culverphotos.com/5_7_10_cmalacrosse.